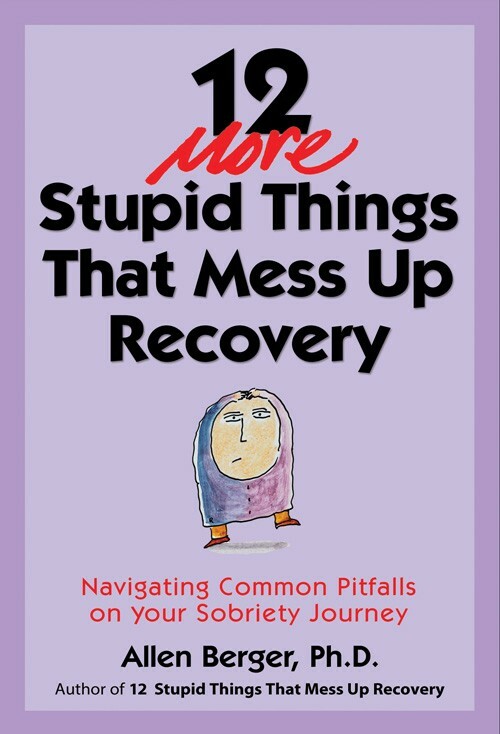 Allen Berger, PhD, is a leading clinician, popular speaker at behavioral health conferences, and author of 12 Stupid Things That Mess Up Recovery, 12 Smart Things to Do When the Booze and Drugs Are Gone, and 12 Hidden Rewards of Making Amends. Recovery from addiction is often compared to a journey where you meet new people; rejuvenate your mind, body, and spirit; and learn new things about yourself that give you hope for the future. But like all journeys, the recovery path also has pitfalls that can jeopardize your sobriety. 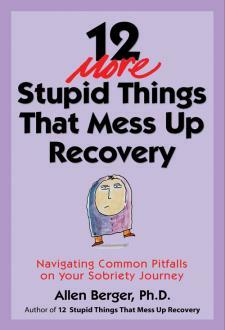 With his popular book 12 Stupid Things That Mess Up Recovery, Allen Berger has shown many people how to confront self-defeating thoughts and behaviors that can sabotage their sobriety. In this sequel, Allen gives you the tools you need to work through twelve pitfalls that you are likely to encounter on your path to long-term recovery. Whether you are facing relapse, learning to overcome complacency, or working to take responsibility for your feelings and actions, this book will equip you to overcome some of the most common relapse hazards as you make your trek along "the road of happy destiny."